Swisslog, a global provider of integrated logistics solutions for warehouses and distribution centers, today announced the addition of the new QuickMove light goods conveyor to its solutions portfolio. After the launch of the Tornado miniload crane, Swisslog continues its strategy to provide a complete scope of supply and services in the area of light goods handling. Customers looking for integrated solutions for the handling of cartons, bins or other light goods can now purchase planning, products and realization from one source. 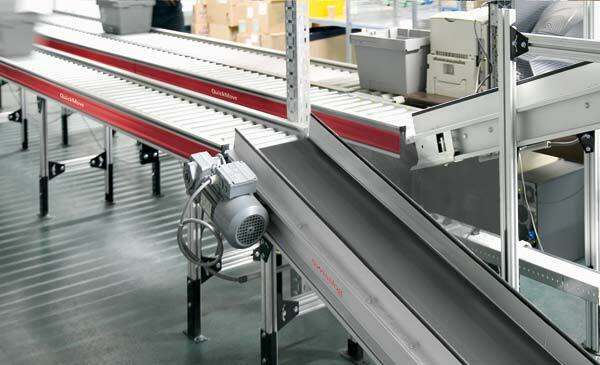 Swisslog’s light goods conveyor system QuickMove is based on a set of standard elements and modules and provides reliable handling for a large variety of transport units up to 120 kg. Focus industries for the solution are retail, food & beverage and pharmaceuticals. QuickMove stands out due to the optimized combination of mechanics and controls, resulting in high performance and simplified implementation. The new conveyor technology is delivered with an integrated energy management system and includes Swisslog standard controls as part of AutomationControl™. 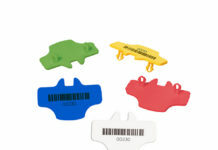 “With QuickMove we complete our product portfolio and can now offer our customers the full range of own light goods and pallet technology next to our planning and implementation services as general contractor for logistics,” says Francis Meier, Managing Director Technology Centre at Swisslog’s Warehouse & Distribution Solutions Division. The development of QuickMove was strongly driven by customers’ needs and Swisslog’s commitment to solve their daily challenges through technological innovation. 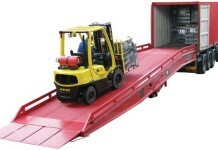 The new light goods conveyor is designed according to the “plug & play” principle. All elements are delivered pre-assembled, fully wired and tested from the factory. Therefore installation and commissioning time is short. Depending on the application, roller conveyor, belt conveyor or vertical conveyor elements can be implemented. Easy expansion and upgrades are possible at a later date. The multi-functional design features side profile with integrated cable ways, allowing for easy floor cleaning and profile T-slots for simple installation of supplementary hardware. A quiet operation of the system is ensured. The modular approach of QuickMove supports almost any application in light good logistics. QuickMove is optimized for Swisslog’s standard industry solutions. By delivering an own conveyor product, Swisslog simplifies implementation and integration and opens up opportunities for development of new enhancements of Swisslog light goods solutions. Customers can take advantage of Swisslog‘s comprehensive range of products, solutions and services and benefit from working with a single partner from planning through to realization, operation and ongoing support.